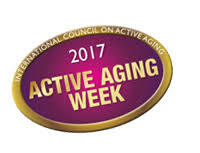 The City of Unley was proudly recognised with an Active Ageing Australia Celebrate Age Award in the Local Government category on Friday. The much contested award was presented to CEO, Peter tsokas, by Mrs Lan Le in a ceremony at Government House. This award celebrates Unley's strong strategic commitment and initiatives in the Age Friendly space, with an Active Ageing Alliance, creation of the annual Age Friendly Cities Australia forum, the Circuit 101 Meal Service at the Unley Community Centre and our Active Ageing Award as part of the SALA Festival. As well as new work such as the Age Friendly Streetscape Project, the Age Friendly Retail Pilot, the review and implementation of the Community Bus service and the heart-warming and inspiring Unley Legends films. All are great examples of the work done to make a meaningful difference for the community. No award is achieved without a team effort, and it is timely to acknowledge the contribution staff and volunteers across Council to implement the Active Ageing Strategy and how we are all working to promote positive ageing in our community.